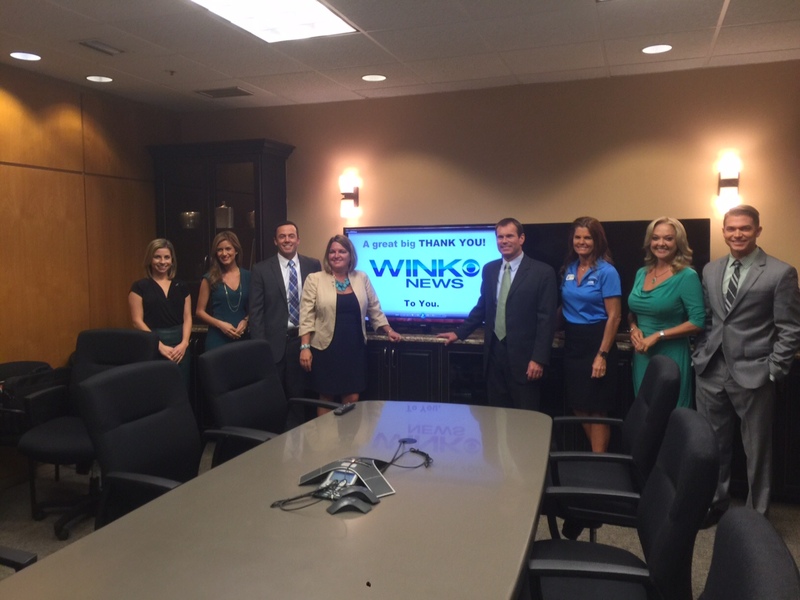 Builders Care Executive Director, Heidi Taulman, and past President, Wendi Carroll, thanked the WINK News team with a presentation of a plaque and a special video just for them. “In all my years, this is the most special thank you that I have ever gotten,” said Russ Kilgore, News Director. Builders Care representatives presented a personalized plaque to WINK and a 30-second thank you video to on-air talent, news room staff and other executives. WINK News on-air talent pose with Lee BIA Builders Care.